The Best Medicine for your Saltwater Aquarium? The tank water looks green. High nitrates. Try the "Vodka Method" for reducing. The fish are acting funny. The inverts are acting funny. Excess DOCs (Dissolved Organic Compounds). The tank has been running for a month. Trace elements are too low. Your favorite Percula just had a birthday. You name the problem and the first cure you hear is to perform a partial water change. So, what does performing a partial water change on a saltwater aquarium actually accomplish? Water changes are performed to accomplish 2 goals: Dilute the bad stuff (nitrates, medications, toxins) and/or increase the good stuff (calcium, iodine, pH buffers) in your tank water. Let's say that your water tests show that you have 100 ppm of nitrates and 5 ppm of phosphates in your 50 gallon saltwater tank. If you perform a 10% (5 gallon) water change, your nitrates will be reduced to 90 ppm and your phosphates will be reduced to 4.5 ppm. At the same time, your trace element levels will increase by approximately 10% if your water change uses a standard sea salt mix. Partial water changes can also help raise your pH, although a tablespoon of baking soda will do the same thing for a small fraction of the price of a bag of sea salts. The documentation included with most chemicals used in aquariums for the treatment of a wide variety of afflictions (Ich, bacterial infections, fungus, etc) usually includes instructions to perform a partial (usually 10% to 20%) water change when the treatment is concluded. The logic of a partial water change at this point puzzles a number of people. Why would a 100% concentration of a particular medication be a disadvantage after treatment is complete, but a 90% or 80% concentration be acceptable? If your intent is to raise the levels of certain trace elements or to adjust the pH of water, using trace element and/or pH buffering additives may be a better solution than doing a water change. Using calcium supplements and trace element additives is an easy and efficient method for keeping your levels at the desired levels. Using Nitrate Absorbing Products and Phosphate Removing Products is also an efficient method for keeping these compounds in the acceptable range. Most medication and water treatment instructions advise you to turn off your protein skimmer while the tank is being treated. The reason for this is that foam fractionating removes a lot of materials from your aquarium water, including the medication and water treatment materials. If a protein skimmer is included in your aquarium system, it can be used to remove undesirable materials, rather than performing a water change. The "Vodka Method" reduces both nitrates and phosphates if your filtration system includes a protein skimmer. 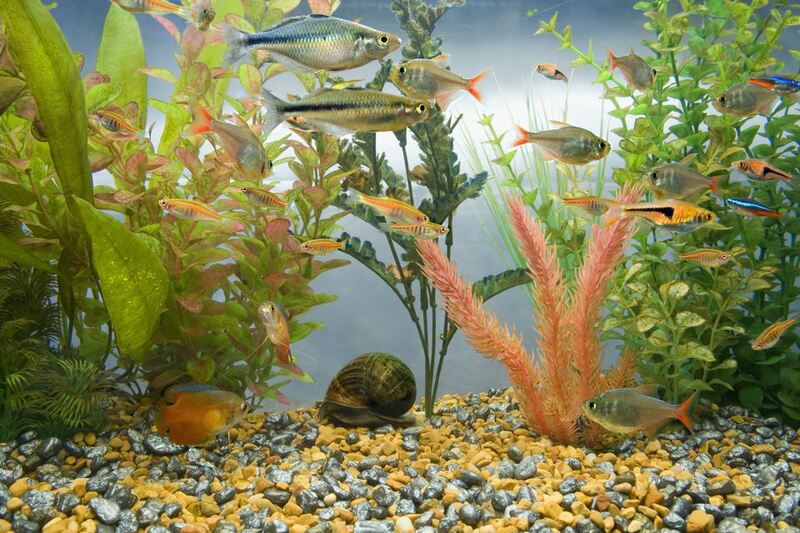 Activated carbon filtration can remove a wide variety of materials from aquarium water. Carbon filtration will remove not only medications and toxins from your tank water, it will also remove a number of trace elements until the carbon becomes saturated. If you think that water changes are the way to go, you might want to look at the Rapid Nitrate Reduction Water Change Method to help you economize on your sea salt purchases. What do you think? Are repetitive water changes the most effective method for reducing toxins and balancing trace elements in your aquarium? There are a number of Reef Tank Supplements which do an excellent job of keeping the calcium and trace elements in your tank water at the proper level.